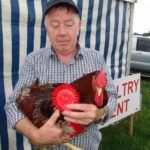 It is the policy of the Castleblayney Show to safeguard the safety, health and welfare of committee officials, volunteers, members of the general public, contractors or anyone else who may be affected by the activities of the Castleblayney Show. The requirements of the Safety, Health and Welfare at work Act 2005 and associated legislation are accepted as being the minimum requirements and, where reasonably practicable, higher standards will be attained. 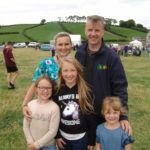 Providing and maintaining the necessary organisational structure with systems and procedures to manage the Health, Safety and Welfare of the Castleblayney Show effectively and efficiently. 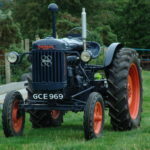 Providing and maintaining safe plant and equipment for use by the Castleblayney Show. Providing and maintaining safe systems of transporting, handling and storage of equipment to and from the showgrounds. Providing a safe layout of show areas, temporary structures, and all areas for use of the general public. Ensuring the showgrounds are provided with safe means of access and egress. Ensuring sufficient information, instruction, training and supervision is provided throughout the Castleblayney Show organisation to enable people to fulfil their duties without unnecessary risk to their own, their colleagues or the general public’s health, safety and welfare. 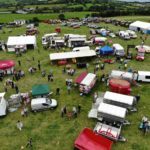 Health and Safety are to be given priority over any other Castleblayney Show activities. Please do not exhibit animals that are unsuitable with regard to safety, e.g. hard to control. All animals must be led by a competent handler. Animals must not be tied to trailers. Dogs must be on a lead and under the control of the handler. Caution and care must be exercised at all times. We ask you to co-operate with our safety officers and stewards, each will be wearing a high visibility vest or badge. Have a safe and enjoyable visit to our show!